It seems like every other day, a new device gains Amazon Alexa integration. Now Amazon’s voice assistant can also control Whirlpool’s new washer-dryer pair, and Alexa will come to the rest of Whirlpool’s smart appliances later this year. The company is launching 21 new Wi-Fi-connected appliances that will respond to your voice with help from Alexa. For instance, if you’re in the middle of mixing cookie dough and want to preheat the oven, you can just holler at Alexa to do it for you. Prepping for a big shindig? Ask Alexa to set the refrigerator to party mode so you’ll have tons of ice at the ready. “Wouldn’t it be easier to speak to your oven?” he said. The Smart Cabrio Laundry Pair will be the first Whirlpool machines with Alexa capability, with 21 total Alexa-integrated appliances to launch in 2017. 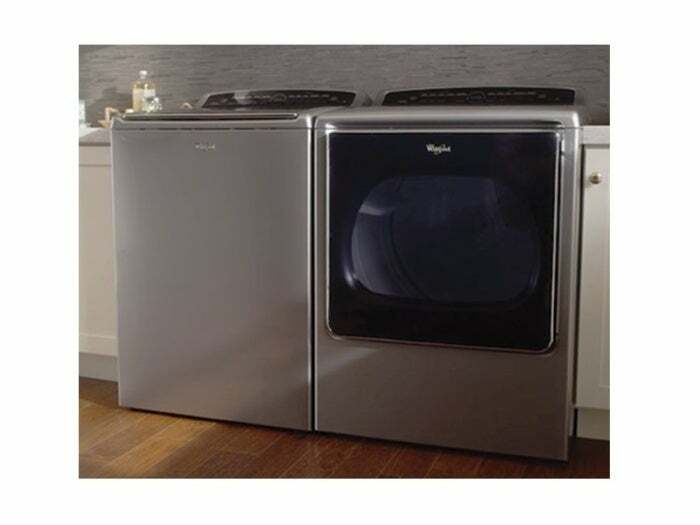 Whirlpool appliance owners with an Amazon Alexa device like the Echo or Echo Dot will be able to call on the voice assistant to help out in the kitchen and laundry room. Commands range from setting the oven timer or adjusting the temperature to asking how much time is left on a wash cycle or pausing the dryer. Whirlpool isn’t the first appliance maker to jump on board with Alexa, although the company does provide a more seamless way to use Amazon’s assistant with its products. Rival GE announced last fall that it would put Alexa integration in its lineup of connected appliances—some 70-odd machines in total—but GE is using the Geneva skill. That means you have to ask Geneva to tell Alexa to turn on the washing machine. With Whirlpool, you can query Alexa directly. Whirlpool has a few other announcements in the wings as CES unfolds, but one of its most interesting announcements is a little out of the box. The company’s experimental W Labs is launching an Indiegogo campaign on Jan. 6 for the new Zera food recycler. The $1200 machine will turn a week’s worth of food, about 95 percent of a family’s food waste, into fertilizer in under 24 hours. It’s not as trendy as an Alexa-integrated appliance, but Zera could actually do some good. This story, "Whirlpool’s smart appliances will be Amazon Alexa-compatible this year" was originally published by TechHive.